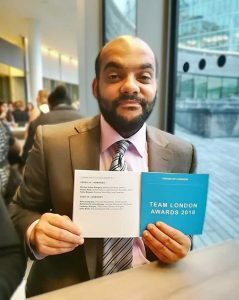 Winners in the Team London Awards! Last night our nominees for a Team London Volunteering Award were recognised for their hard work and dedication and were winners! 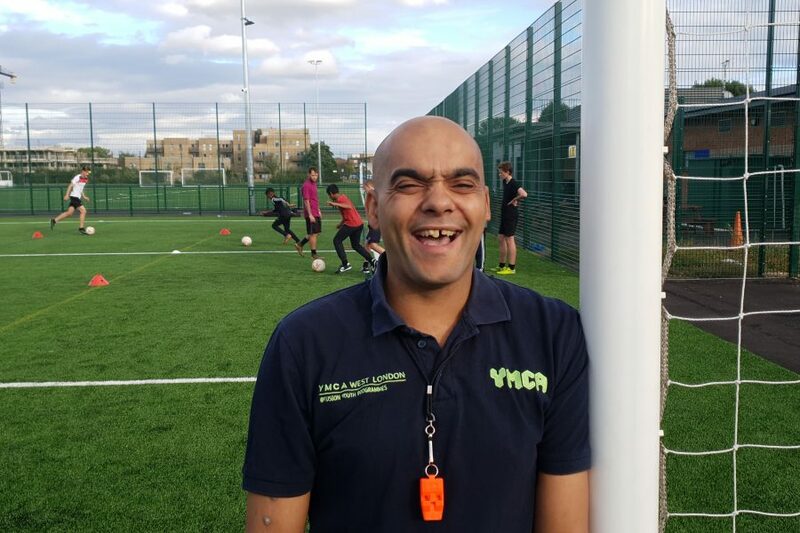 Llewellyn Alleyne won an individual award for his volunteering at YMCA Hayes in West London. 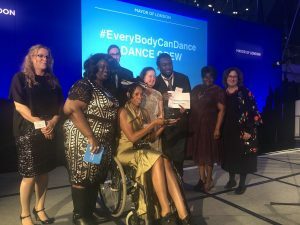 Our Inclusive Lives team won an award for their EveryBodyCanDance fitness instruction video (produced with Filmanthropy UK). Llewellyn has been volunteering for the last 10 years, working at the drop in café with over 16s, the job club and the football sessions which run at Botwell Green Leisure centre. His favourite is the football as he loves to coach the youngsters aged 5 and over. A keen supporter of Arsenal, he is passionate about the game. Llewellyn first got into volunteering with YMCA Hayes when he was a resident at the hostel. He came to live there because his mum passed away, and he was sofa surfing with other members of his family. He moved out after five years, but continued to be dedicated to volunteering. “I just wanted to give back,” he explains. The annual Team London Awards celebrates the individuals, teams and volunteers who are making outstanding contributions to their communities. The Awards are one of the ways the Mayor recognises some of those volunteers who go above and beyond to create better local communities.